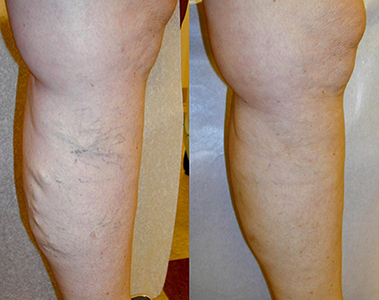 Treat superficial veins the easy way, whether they occur on the face, neck, or legs. Laser skin treatments are an innovative method that continues to gain in popularity as patients seek non-surgical solutions to unwanted veins. Leg veins, Varicose veins, Spider veins, foot or facial veins don’t stand a chance with Varicose Vein Laser Center & Med Spa. We incorporate cutting edge technology in a safe and comfortable atmosphere where patients can receive myriad skin and beauty treatments, all under one roof. Precise pulses of light are emitted from a custom Cutera XEO handpiece, targeted straight to the vein or area of skin in question. This absorbed light causes thermocoagulation (or clogging) of the treated blood vessels, sealing them off and redirecting normal healthy blood flow through more capable supporting veins. 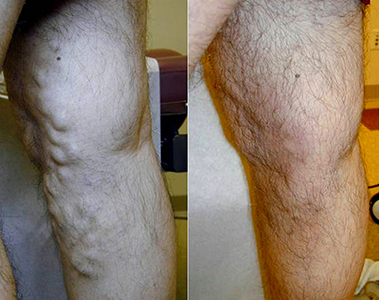 Successfully treated veins are then absorbed and expelled through the body’s own natural healing processes. Our medical spa performs laser vein removal that is non-surgical and does not come with the down time or risk that cumbersome surgeries often entail. Cutera XEO technology is virtually pain free. An effective cooling system keeps patient discomfort to a minimum. Many patients report a pinching sensation, much like the snapping of a rubber band. 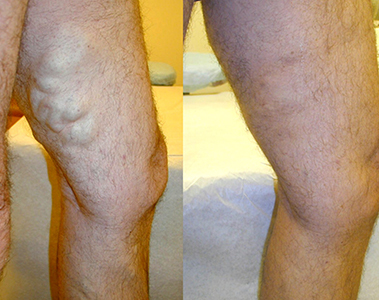 Treated veins will often disappear immediately, but some particular cases might take longer to fully disappear. Some redness can be expected, but there is no downtime. You can go on with your life the very day you receive treatment. Contact Varicose Vein Laser Center & Med Spa today to learn more about the ways that we can help you get rid of unwanted leg veins, varicose veins, spider veins, foot and facial veins. We serve patients in West Los Angeles, Downey, Montebello, Pasadena, and many surrounding areas. Together, we’ll help you unveil a new shade of radiance. Copyright © 2019 Varicose Vein Laser Center & Med Spa is proud to serve the city of Montebello and bordering communities with expert varicose vein treatments and skin rejuvenation using the latest laser technology. All Rights Reserved.